Essays – What is an Essay? Essays – What is an Essay? A Guide from Academic Sciences. The term essay is widely used to describe many different kinds of academic assignments and writings. In definition, an essay is a written document which discusses, analyses, explains, interprets or evaluates a topic in both an organised and coherent manner. The terminology which is used to refer to a specific assignment and the requirements for its length, level of analysis and amount of research depends largely upon the discipline in question. Here are some examples of the differing terminology used between various different disciplines. An assignment which asks the writer to perform library research to write about a specific topic can be referred to as an essay, a paper, a research paper, a research essay, a term assignment and a term paper. 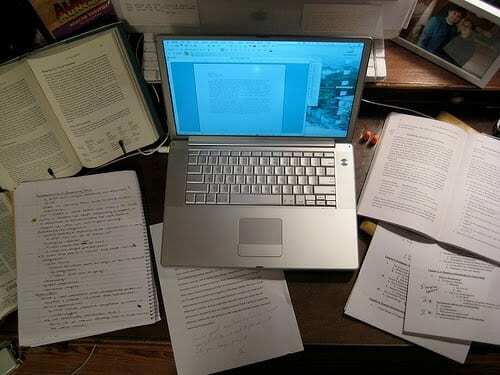 The terminology is not always consistent, for example; a term paper may tend to be a longer essay written in advanced courses, but not always. You will generally be assigned a specific topic or asked to decide upon your own within a subject relevant to the course being studied. Whatever the assignments’ denomination, you will be required to read up on a specific topic using books or journal articles and then transfer these findings into a written piece which will either inform of persuade the reader. An assignment requiring a literature review or a research review may well require you to choose a specific topic and then find and read journal articles on this topic. These article will usually be written by experts and focussed upon their own research. This type of essay will require you to summarise and compare the results of the research conducted on that topic. Advanced courses may also require you to perform some critical evaluation regarding the type and quality of the research being performed. Used in regard to this assignment the word `literature’ refers to published research material rather than English literature or fiction. In an English Literature course you may be asked to write a literary essay or perhaps a literary analysis. This is an essay which interprets a poem, short story or novel, and uses only this piece of work and your own ideas as sources. You may also at time be required to use the published opinions of other critics as a resource to support and expand your interpretations. A book report or a book review is usually a summary of your own critical opinion of one or more books, often supported by research into the opinions and reports of other critics. Although the word report may well be used for many differing types of essay, it is most commonly used with regards to business courses or the sciences to report upon primary research. The real point is to not worry about what the essay is called, but to concentrate and thoroughly understand every detail of what has been asked of you in the assignments’ description. There may include specific details about not only the length and due date, but also about the number and type of resources to use, the kind of information to include and even the method of organisation to follow. Academic Sciences can help you to write a clear and concise essay that will present your research in the best possible manner, increasing your overall standard likelihood of obtaining a higher grade. Academic Sciences are a premium research and academic writing consultancy based in the UK. We have a highly skilled team of writers who are able to produce top quality custom essays to the highest standards available. Have a 100% original essay written to your specific guidelines by a specialist UK graduate in your field. Contact one of our team for a free quote or use our online calculator. How do I Structure an Essay? Click to find out more.